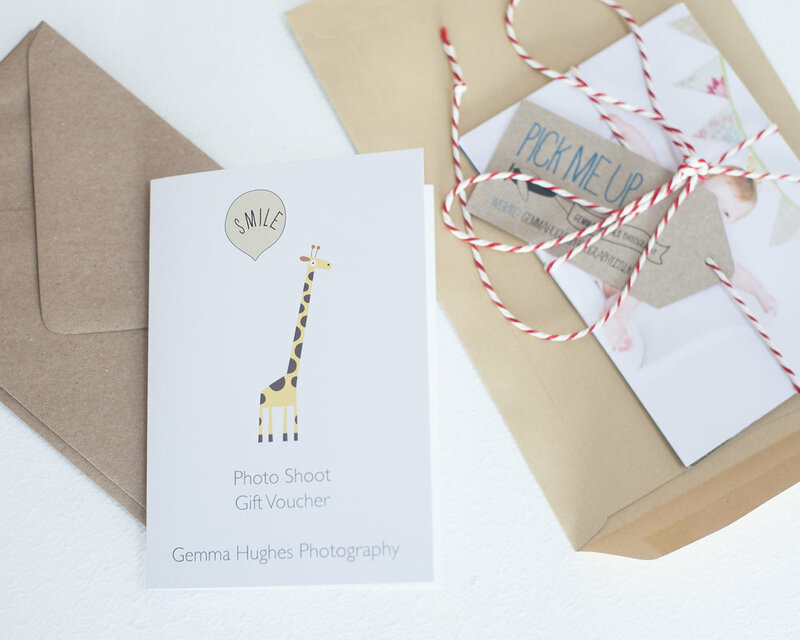 Gift Vouchers are the perfect present for new parents or families who have everything! Gift Vouchers for a studio, outdoor or home shoot including a choice of high resolution digital image or 10x8 inch print are £150. Extra images can be added for £20 each or a bundle of 10 images is £150. The voucher is posted to you as a greetings card in an envelope so you can write your own message inside. If you would prefer me to post the card directly just get in touch and I can write a message inside for you and send where ever you choose. Gift voucher for an hour's shoot (studio, home or outdoors) and favourite image as a high resolution digital file or 10x8 print for £150. Valid for Sussex and Surrey locations.